What Are Snapchat Scores and How Can You Find Yours? Snapchat is awesome and loads of fun to use, but the app has a lot of features nowadays. For example, what in the world are Snapchat scores? This calculation of the snaps sent and received and the stories you've posted determines the trophies you have. No other big social network uses a scoring system by assigning numbered points toits users, so what's the deal? Other stuff, apparently—whatever that means! The more snaps you send and receive and the more stories you post, the higher your score will climb. It's unclear how often Snapchat recalculates users' scores, but it probably refreshes at least every week or so. It may even be recalculated every day or every hour or so to keep it up to date. To see what your own Snapchat score is, tap on your Snapchat profile/Bitmoji picture in the upper left corner of any tab to see your snapcode screen. Beneath your snapcode, you should see a small number right beside your username. This is your Snapchat score. Want to see how many snaps you've sent and how many you've received since you created your account? Just tap your Snapchat score to see two numbers take the place of your username and current score. The number on the left represents the number of snaps you've sent while the number on the right represents the number of snaps you've received. If you try adding these two numbers up, they won't quite equal your current score—suggesting that extra points are earned for increased snap activity. How Does Your Snapchat Score Go Up? Unfortunately, Snapchat doesn't give us much of any information on why we should work on increasing our scores. One thing Snapchat does mention, however, is how it can help you earn more trophies. Trophies are awarded to users according to how much they explore and use the app. If your Snapchat score reaches a high enough number, it might be enough to earn you a new trophy. You can view your trophy case by tapping the little trophy icon that appears at the top of your snapcode tab. It's possible that those who have higher scores may also get access to other Snapchat features, such as premium lenses and others that are newly added but, again, Snapchat is leaving us in the dark about this stuff at the moment and we can't really assume much about it. Is It Important To Increase Your Snapchat Score? Other than trophies, Snapchat hasn't given us any other official details on what having a higher score can do for users. So, it's not really all that important to increase your Snapchat score unless, perhaps, you want to unlock more trophies. 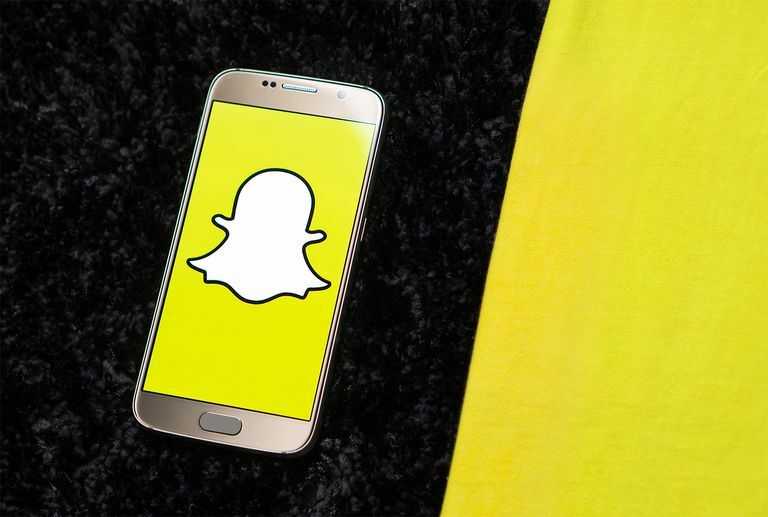 That could very well change in the near future, however, considering that Snapchat is evolving fast and rolling out new features all the time. Back in the day, before Snapchat rolled out several different app updates, you used to be able to tap on a friend's username to see their Snapchat score. This isn't possible anymore with the current app version, but there are a couple sneaky ways you can check your friends' scores. These two techniques only work for users you've added as friends (and have added you back). Sorry, but you can see just any Snapchat user's score! Swipe right on any friend in your current conversations tab to open a chat with them. Then tap their profile/Bitmoji picture in the top left. You'll see that friend's Snapchat score listed directly beneath their name. Tap the magnifying glass icon at the top of any tab and start typing the name or username of a friend. Snapchat will automatically locate their friend listing, showing you their Snapchat score beneath their name.